My Blogger Buzz: How to Show Grid Style Posts in Blogger? How to Show Grid Style Posts in Blogger? Today I am sharing a great and the most popular trick to show grid style posts in blogger blog. This is the must thing in you are blogging on niches like Images or Templates. It looks professional when you show out grid styling in your blog. It makes your visitors to show more of your posts and it also increase your pageviews because the visitors has to click the post to fully read it. Also you can edit the code accross your needs. 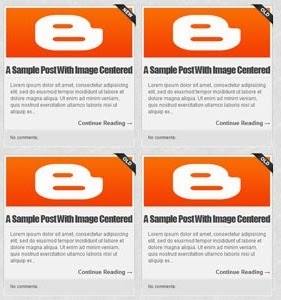 To show this you must have an image in your blog post. So If you are interested to show grid posting to your blogger blog then follow the steps below. 1.) All Post Becomes Grid Styled. 2.) Post Is Untouched While Editing. 3.) Length Of The Post (On Home, Labels And Archive Pages) Can Be Changed, But It Affects All The Posts. 4.) Auto Read More Will Applied On All Posts, No Exception. 5.) The First Picture In Each Post Will Be Automatically Used As A Thumbnail (On Home, Labels And Archive Pages). You Can Also Choose Not To Show Thumbnail. 5.) Only Loads The Snippet (On Home, Labels And Archive Pages). 6.) It's Will Make Professional Looking Blog. 7.) Visitors Have To Click Read More To View The Full Post That Will Increases Your Page Views. 8.) Will Decrease Your Page (On Home, Labels And Archive Pages) Loading Time. 9.) Perfect For Better SEO. 10.) You Don't Have To Add -The Jump Break- In Every Post. 11.) It Will Effect All Of Your Post In Your Blog (New To Old). 12.) 99% Of Blogger Are Using This Code. 14.) Quick To Load And Easy To Install. 15.) No Any External File Added. 16.) No Copyright Code POPUP Or Redirect. 17.) Will Show Image First Then Post Title And Then The Rest. 19.) You Have To Change Come CSS In The Below Code To Match It With Your Template. 2.) Open Your Desire Blog. 5.) Click "CTRL+F" Inside The Template BoxTo Find </head> Code. 6.) Now Copy The Below Code And Paste It Before The Above Code. 7.) After That, Find This Below Code Using "CTRL+F. 8.) You Will Find Three Of Them, Replace The Third One With The Following Code. 9.) Click Preview. If It Works, Then Click Save. 1.) Change The CSS According To Your Desired. 2.) If Your Post Have No Images Then The Words On Main Pages (On Home, Labels And Archive Pages) Are 800 You Can Change It With Your Desire. 3.) If Your Post Have Images Then The Words On Main Pages (On Home, Labels And Archive Pages) Are 180 You Can Change It With Your Desire. If You Have A Custom Template Or Blogger Official Template, There May Be A Bug After Adding The Above Code That Will Hide Your Next/Prev/Home Buttons Which Are At The Near Of End Of Blog And Move Them Anywhere Else. If You Are Watching This Bug Then Don't Feel Horriable Because Here IS The Fix For You. 5.) Click "CTRL+F" Inside The Template Box To Find <b:includable id='nextprev'> Code. 6.) Now Copy The Below Code And Paste It Just After The Above Code. Congrats, you have successfully added Grid Posting to your Blogger Blogspot blog. I hope you added this successfully, if you face any difficulty then leave a comment below till then Peace, Blessings and Happy Griding.